I happened to have the “chance” meeting @lacelocker (TheLaceLocker on instagram) @StashSports on Twitter and Facebook, be sure to give them a like/follow! First impression was how quickly they arrived, that is always important. As athletes are pretty impatient when it comes to getting things in the mail, we want it and want it yesterday, it keeps us excited and motivated when we have new things arrive. The packaging was also very well branded and professional. The test. Simple. Easy to put on, and for those of us who are impatient I didn’t have to look at the instructions on how to properly “install” them. They work, simple as that. I wear elastic, no tie laces in my racing shoes, but that is personal preference, they are not for everyone. However, my cross training shoes all have laces. Laces annoy me. Period. I catch them on weight equipment causing me to trip and fall, they come untied. Don’t get me started on if the lace rubs up on my ankle and I think there is a critter running across and it makes me jump to the ceiling. 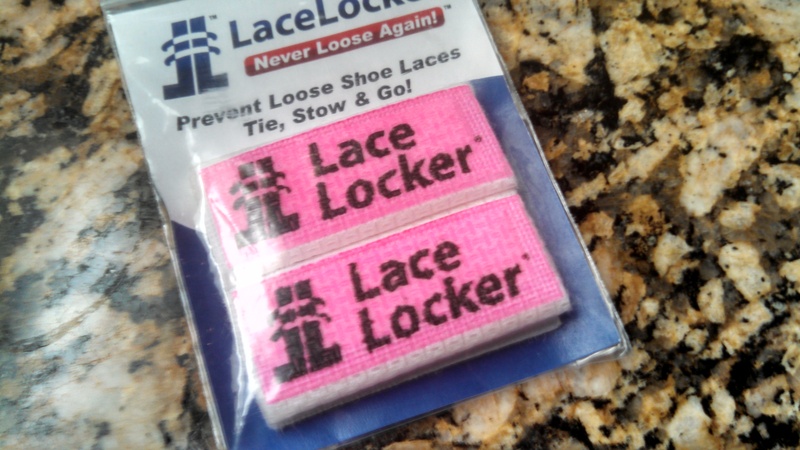 Lace Locker gets rid of all those lace annoyances. They also come in a variety of colors, even Lady Bug print. I am not only a Coach and athlete; I am also a Mom of a very active boy who used to refuse to tie his shoelaces. Double and triple knots stand no chance with this boy. Lace Locker fixed that. Another random use that was discovered, I was recently at the gym doing my first wear test of Lace Lockers. There was a girl in the locker room fighting with a pair of workout pants that were refusing to cooperate. She awkwardly noticed me watching her antics and responded with a sheepish statement “I accidentally packed my sister’s pants, they are too big and I can’t get them to stay tied, no one needs to see that when they fall off of me!” LIGHTBULB went off. I took one of the Lace Lockers off my shoe and handed it to her and said to find me and give it back at the end of the workout. Problem solved. I was on the treadmill behind her as she was on the elliptical, a few times during the workout she would flash a big smile and thumbs up. 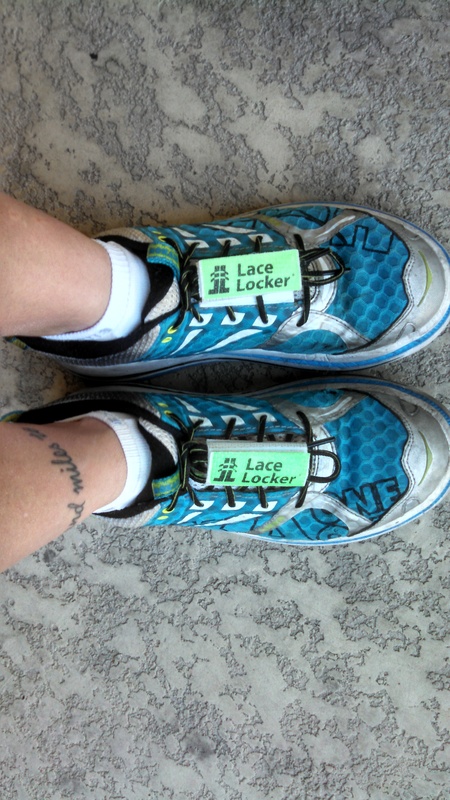 So in keeping with my workout pant friend at the gym, I give Lace Locker thumbs up! 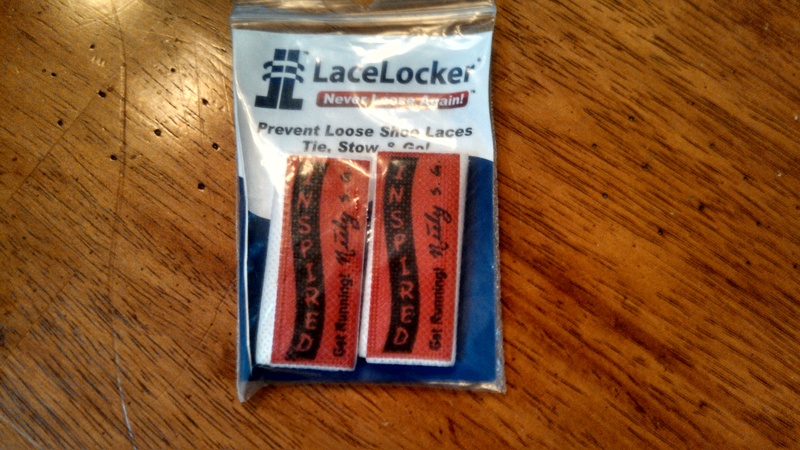 A quality product made 100% in the USA, affordable, easy to use, excellent customer service, commitment to safety and passionate desire to send kids to college (in addition to Neely’s scholarship a significant amount of proceeds go to create scholarships), and finding a product that is a solution to annoying shoe laces. Here is the fun part: PRIZE GIVEAWAY. That’s right! I am giving away a pair of KR Endurance orange Lace Lockers! The comment on the KR Endurance Facebook post of this product review with the most “likes” by 12:30pm Pacific Time Friday, January 25, 2019 will win. In the event of a tie, all names will go in a drawing and my 11yo son will do the honors of drawing the winner. That’s what Mom’s do! Good luck. So…on your mark, get set….GO!!!! This entry was posted in 5k, Athlete, Exercise, Fitness, Half Marathon, Marathon, Product Review, Racing, Review, Running, Training and tagged exercise, fitness, marathon, product review, racing, running, safety, training.